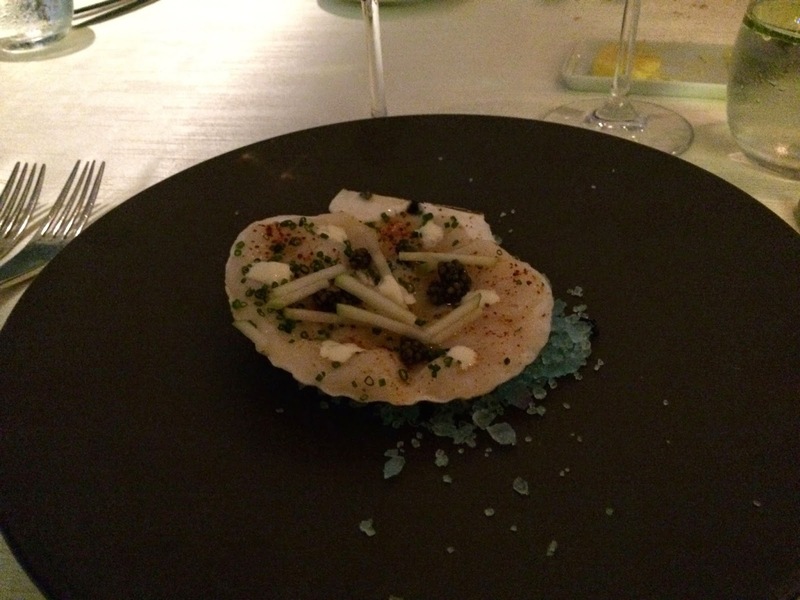 I was in the Ritz Carlton Singapore for the first time. However, it isn’t as impressive as the one in Tokyo. 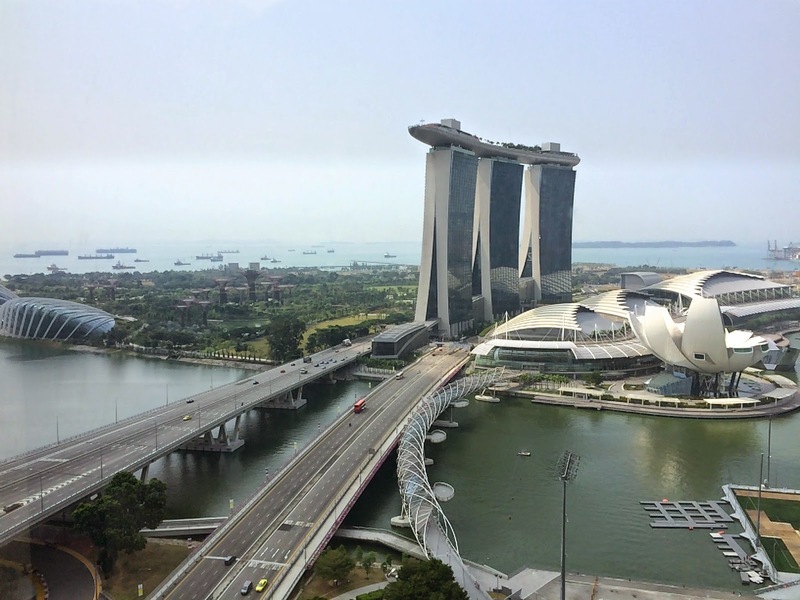 This hotel is much smaller and when in Singapore I think I prefer the St. Regis or even the Conrad nearby which come close to matching or exceeding its service levels. The view from my room? The Marina from yet another angle! 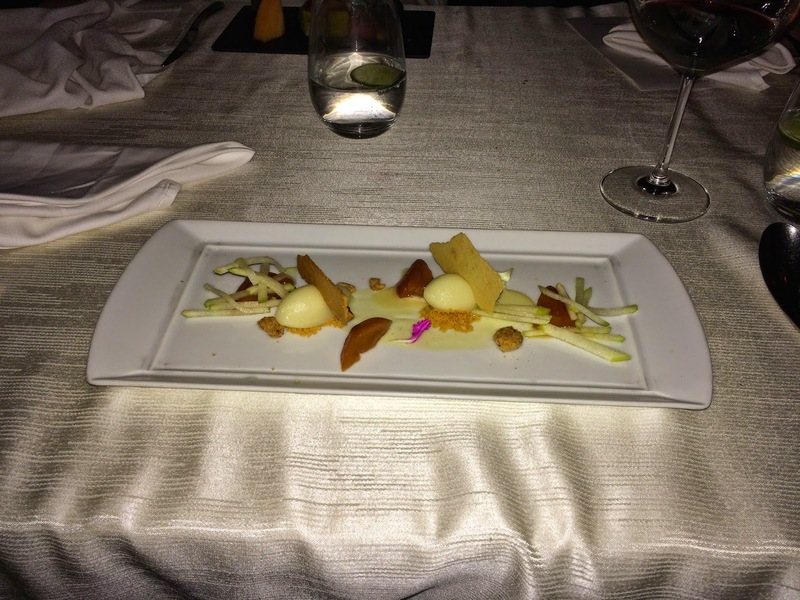 For the team dinner that evening, we trooped down to the Marina Sands resort and took an elevator all the way up to Sky on the 57th where chef Justin Qwek realises his vision of modern Franco Asian cuisine. The city and traffic glittered down below as we sat back with our drinks and the waiters set down course upon course of delightful dishes. With so much to talk about, my focus (for once!) was not on the food itself. However, I remember relishing almost everything that came in front of me - and there was a lot of stuff there that day! 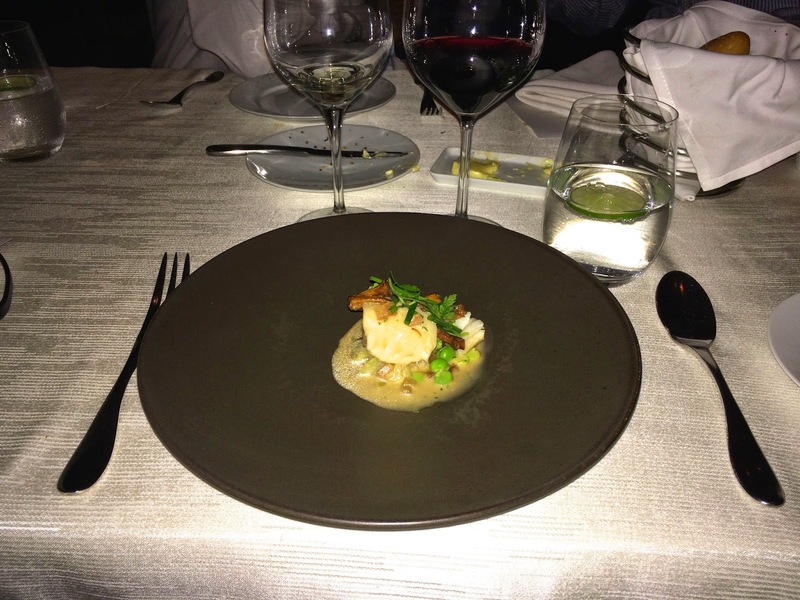 There was Hokkaido scallop, heirloom tomato salad, Tasmanian cod, Maine lobster, char-grilled beef with foie gras before desserts finally made their way. 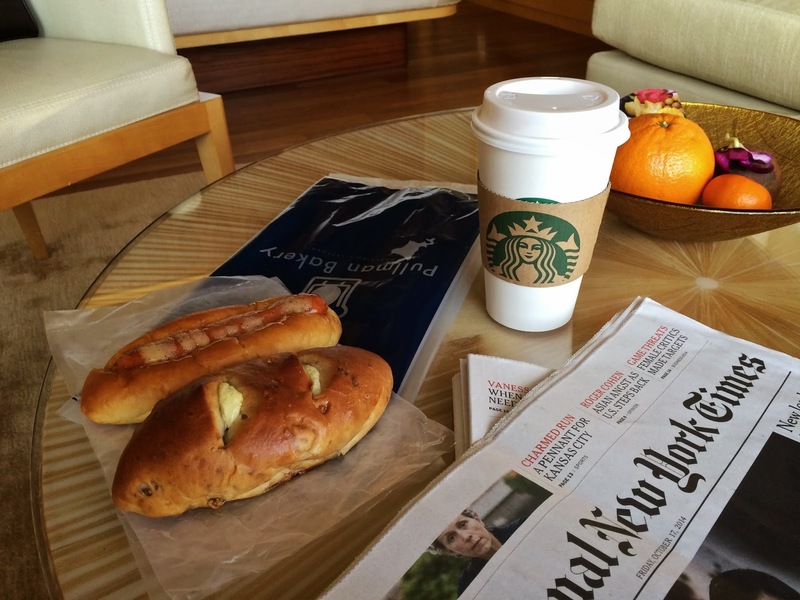 During my early morning walk to the office, I would pick up coffee at a Starbucks outlet in Marina Square mall and discovered a Pullman Bakery right in front. The aromas of fresh pastries and bread as they rapidly served early morning patrons made my stomach rumble. Both Japanese and Koreans have a evolved baking culture over the years. While the names of the bakeries are distinctly Western, a quick look at the breads and pastries will reveal quirky and delightfully Asian sweet and savoury options. Koreans like their bread rich, soft and with delicate flavors, like the popular walnut raisin baguette found in Paris Baguette. Japanese bread too tends to be richer than French varieties, and is often made with flour, butter, sugar, salt, water, milk, egg and yeast. 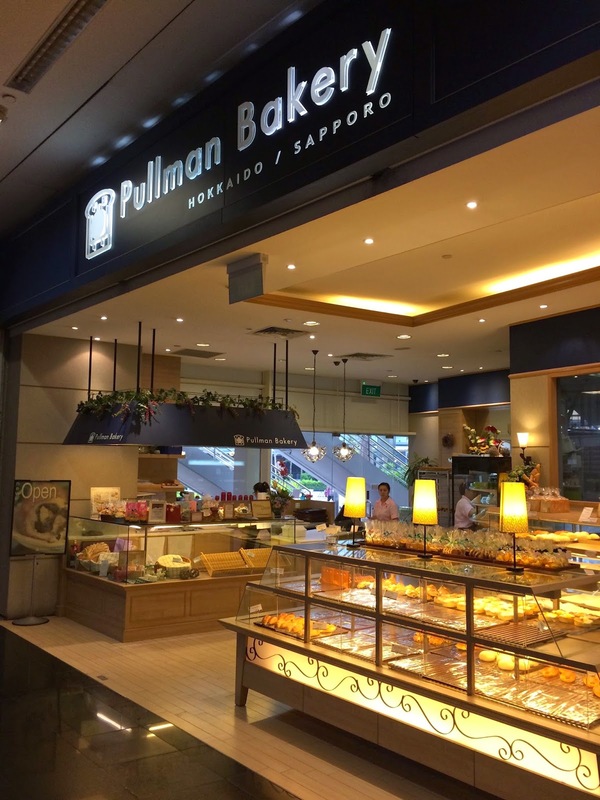 Pullman Bakery originated in Hokkaido and spread all over Japan before making its way here to Singapore. Their curry buns, melon buns and raisin creme-cheese buns are all completely delicious. I look forward to seeing more Japanese and Korean bakeries making their way closer to home. There is now one called London Muffin in Pune and I can attest to their muffins - they use a lot of butter and they taste great!